Wham-O Super Pro Combo Frisbee Disc Models 133 Gram by Frisbee at Scruffs Game. MPN: 81110. Hurry! Limited time offer. Offer valid only while supplies last. 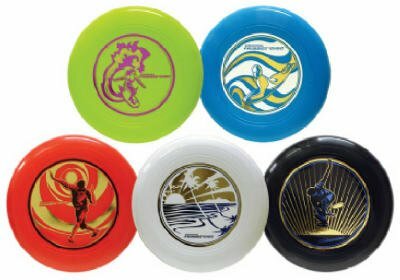 Quantity of (24) : Pro Classic Frisbee # 81110, Recreational, 130 Gram Weight Is Perfect For All Outdoor Conditions, Assorted 4 Colors & Designs.